Durable Power of attorney will be effective in case if the person becomes mentally disturbed or challenged. The durable power of attorney stays in effect for medical care and finances. Our Durable Power of Attorney Templates helps you cogitate all the financial and medical needs required to file the claim. 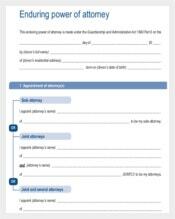 Microsoft Power of Attorney Templates is great instructional instruments. They not only justifies your regular instances but also fits for your unique instances. 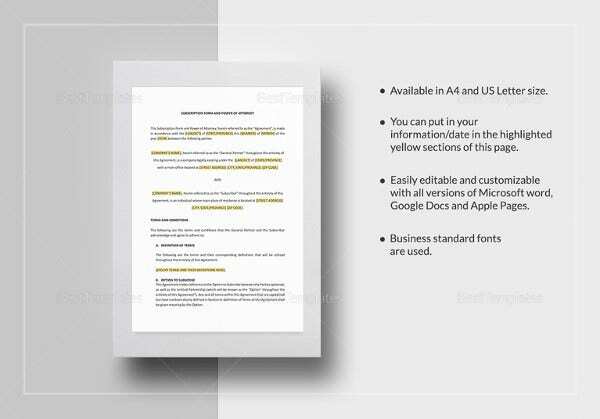 Our Microsoft Word Power of Attorney Templates are low-cost legal aids and with these, you will not feel any contrivance. They help you cope up with law’s complexities and intellectual changes. 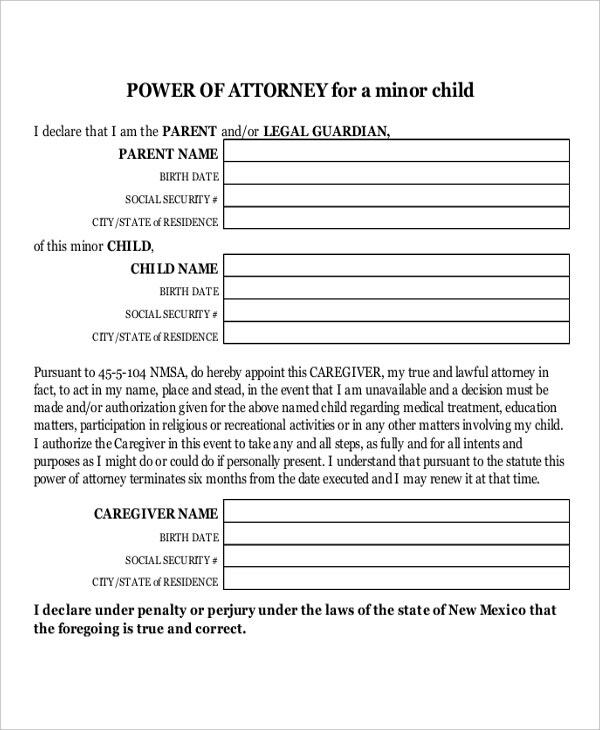 Our free Power of Attorney Templates is usually enough for your basic requirements. One good thing is experimenting on them doesn’t cost you anything. 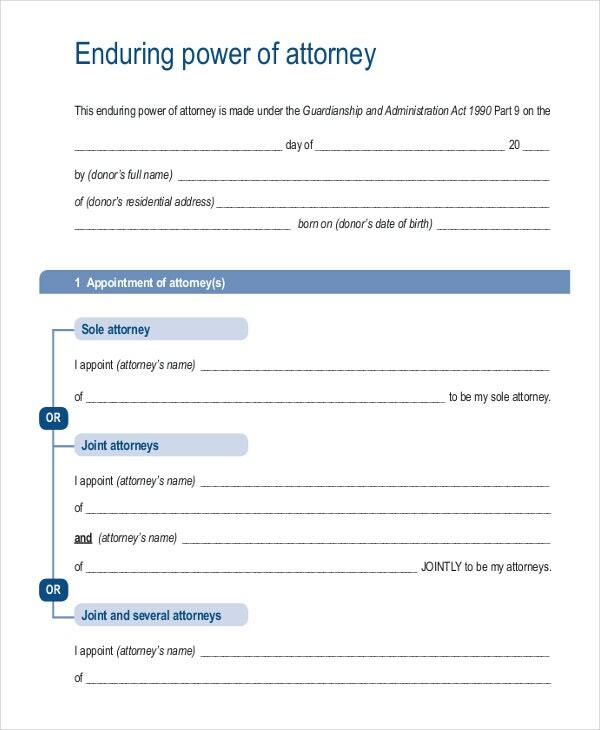 We have Power of Attorney Templates available for all kinds of attorneys. 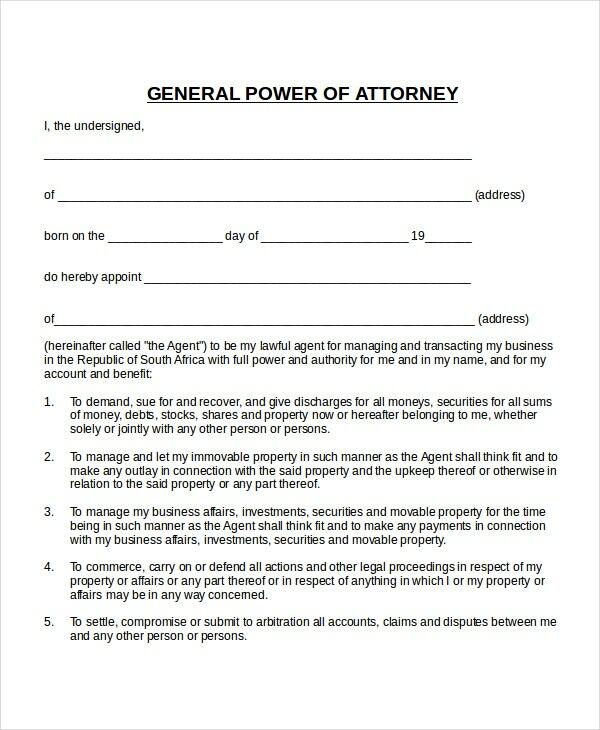 They are more than just power of attorney templates and prepare you to play hardball questions. 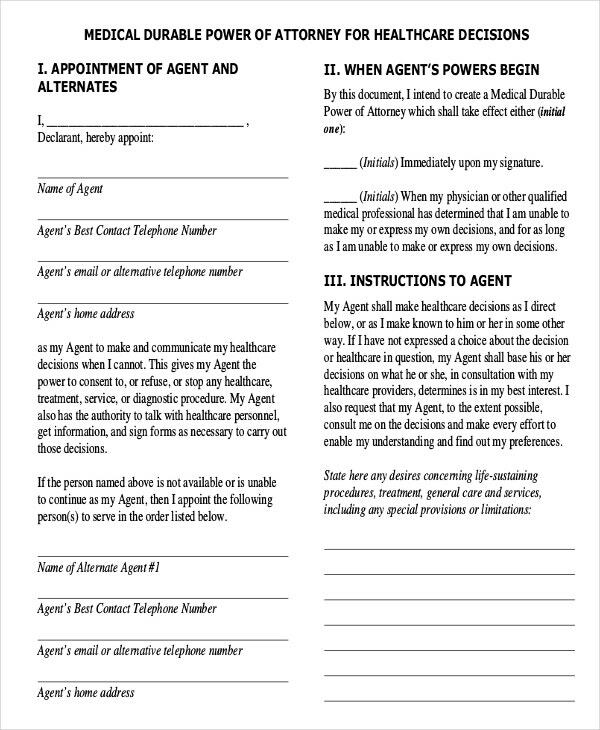 Sample Power of Attorneys gives you ideation about how to prepare a power of attorney document. 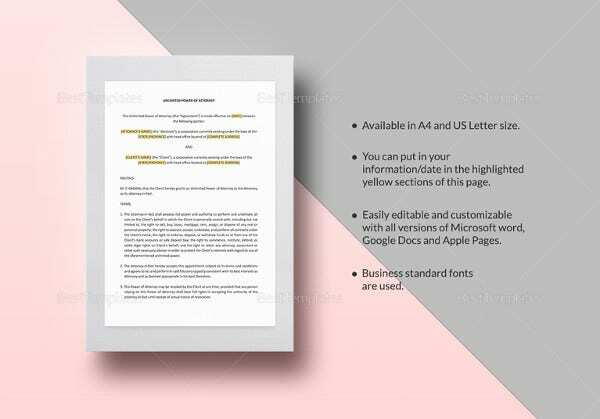 Even though they are sample ones, our sample power of attorney templates are nonetheless your legal gofers that you can help you happily decide who controls your legal and financial affairs in your absence. You may also see Legal Letter Templates. Medical power of attorney or health care power of attorney names someone who is trustworthy to speak on the behalf of grantor. Our Medical Power of attorney templates is your strong weapons that you can even choose two separate persons: one for financial decisions and one for healthcare matters as well. You may also see Payment Plan Templates. General power of attorney confers the authority and rights to a particular person to perform whatever is necessary. 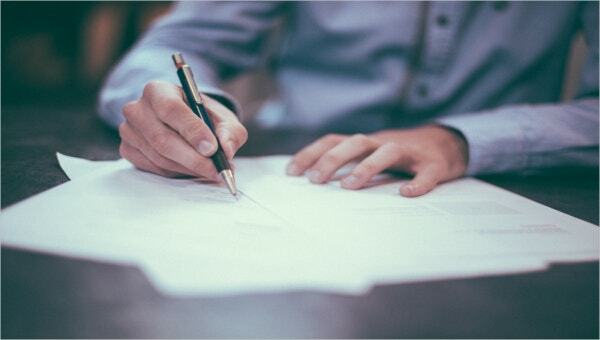 For example, the buyer of a property gets the general power of attorney from the seller not only for her/his own use but also for further sale as well. 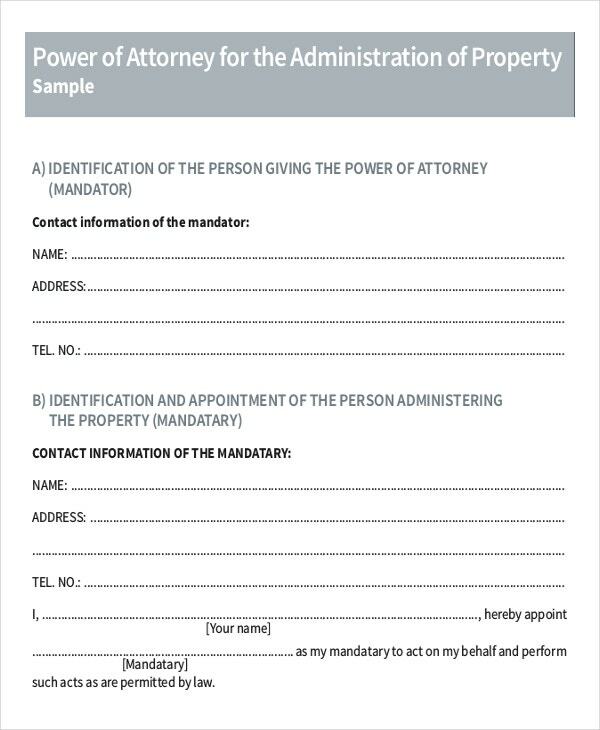 Our General Power of attorney templates will be technically sold anywhere on the planet as they specify that the buyer has the right to sell the property if he/she desires to. 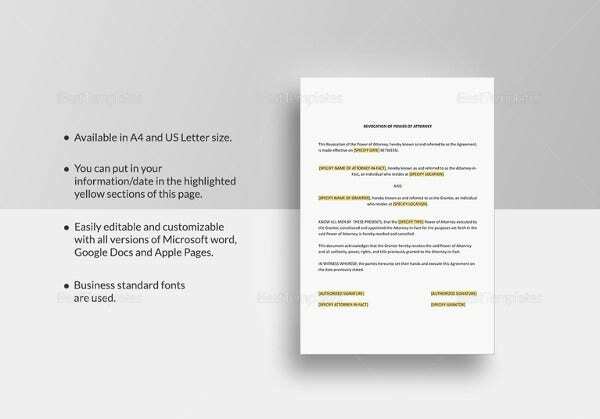 You may also see Letterhead Templates. Legal Power of attorney provides the attorney the right to act upon the grantor. Our Legal Power of attorney templates can be your lawyers worth your salt. Grab the opportunity of our free samples in the below section. Decide whether it is your way or the highway. They need no amount of preparation. You may also see Writing Template. Special power of attorney, on the contrary to the general power of attorney, narrows down the rights to the agent. At times, the donor will have a choice to give special attorney powers to the agent. This narrows down the power of attorney and provides only a few powers. 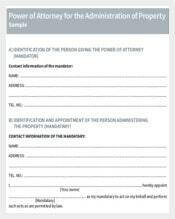 Our Special Power of Attorney Templates is idyllic in their own sense. You may also see Agreement Templates. Springing Power of attorney needs certain demands to be met in order to transfer the power of attorney. This demands including the principal to be mentally incompetent and physically disabled. 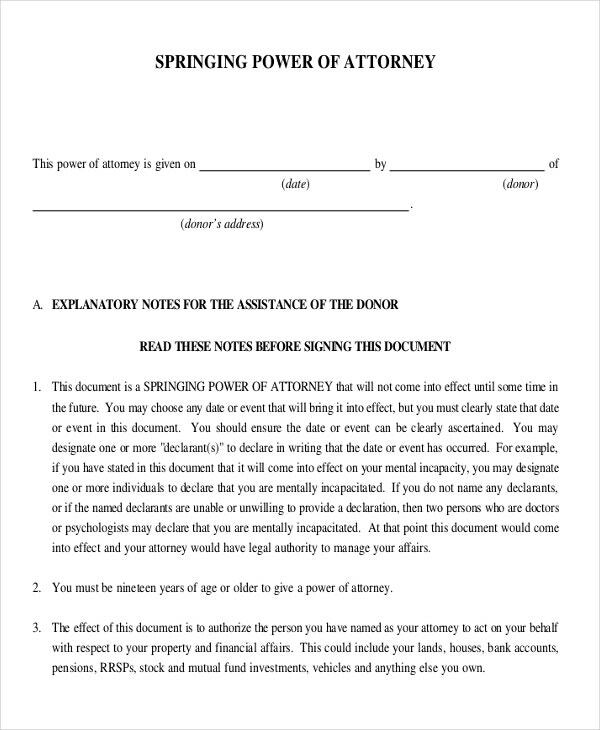 Make our Springing Power of Attorney Templates as your rocket lawyers. You can use them if you are deployed to father aisles. You may also see Attorney Timesheet Templates. In Northern Ireland, Power of attorney is called as Enduring Power of Attorney. Enduring Power of attorney transfers the ultimate power on financial and legal matters to someone reliable and submissive. To transfer the enduring power of attorney, the principal should have 18 years of age or more to that. Another good thing about enduring power of attorney is unlike much other power of attorneys Enduring Power of Attorney allows the agent continue to operate his/her powers even in case the donor loses all their powers. 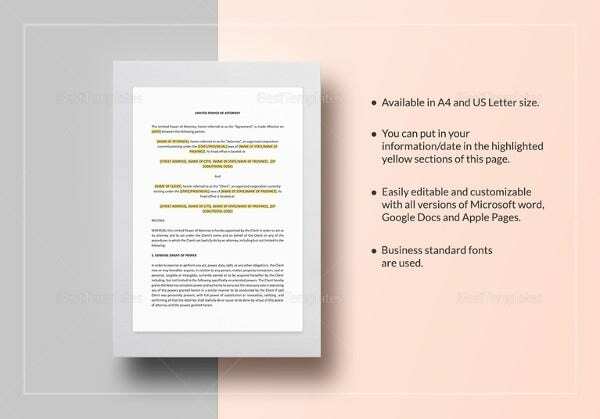 You may also see Letterhead Templates. In England and Wales, power of attorney is called as Lasting Power of Attorney. A lasting power of attorney allows the principals to choose more than one agents as attorneys. This evades the risk of putting everything in one basket and then crossing the fingers. You may also see Best WordPress Themes. 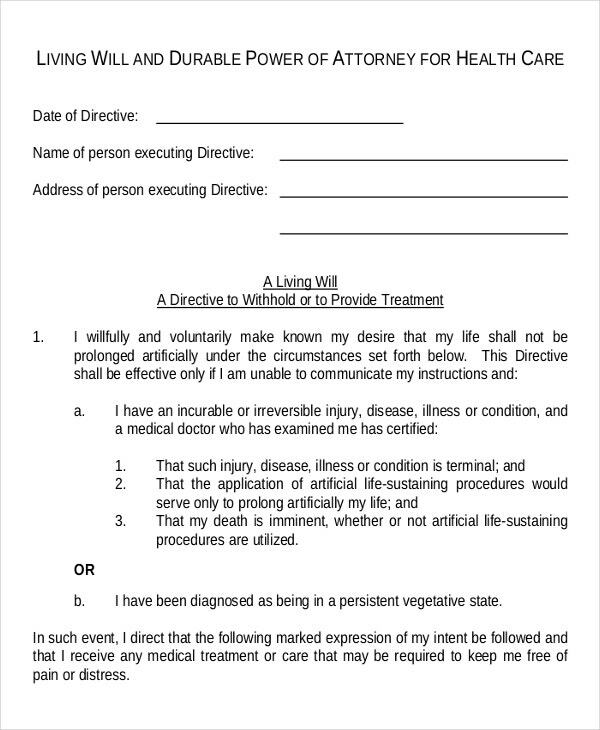 > How to Transfer Power of Attorney After Death? 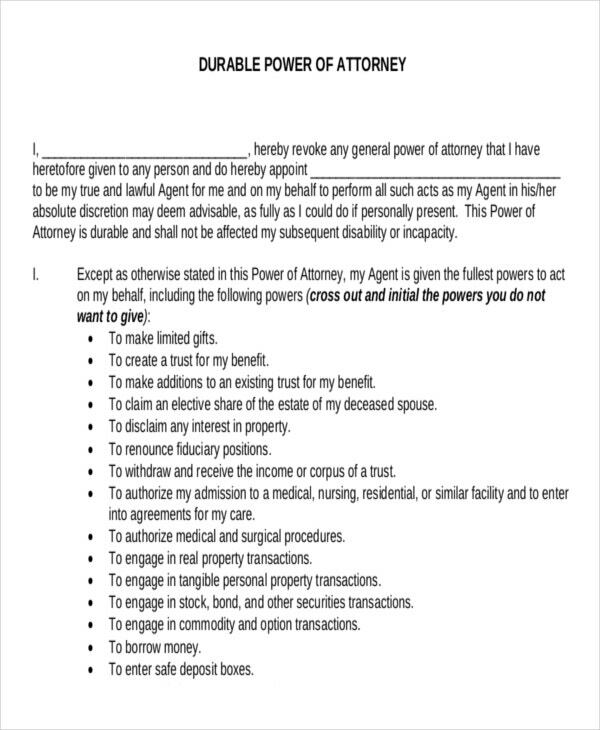 Power of attorney dies along with its donor, whether it is durable power of attorney, enduring power of attorney, lasting power of attorney, springing power of attorney, special power of attorney, medical power of attorney, general power of attorney, or legal power of attorney. That means all the rights and powers of the agent will terminate with the death. However, you can name a person as your executor or as a trustee in a will to act on your behalf of your estate after your death. You may also see Termination Letter. 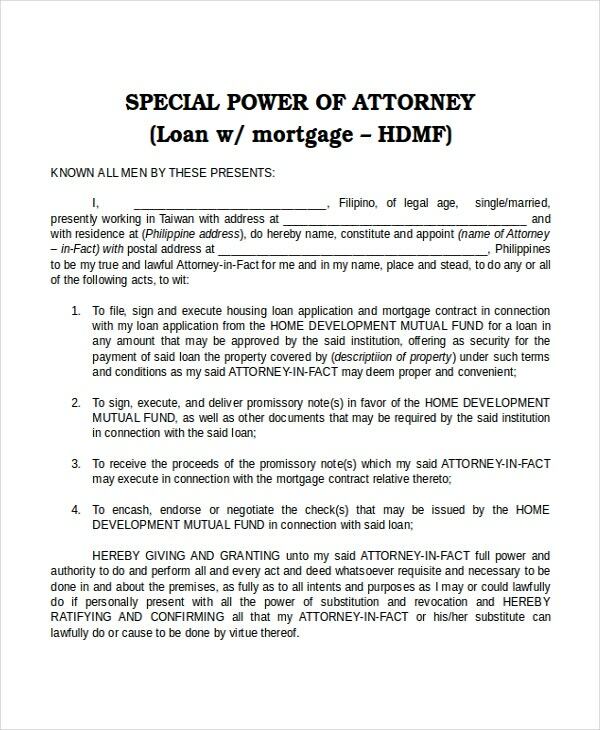 > How to Create a Power of Attorney Template? 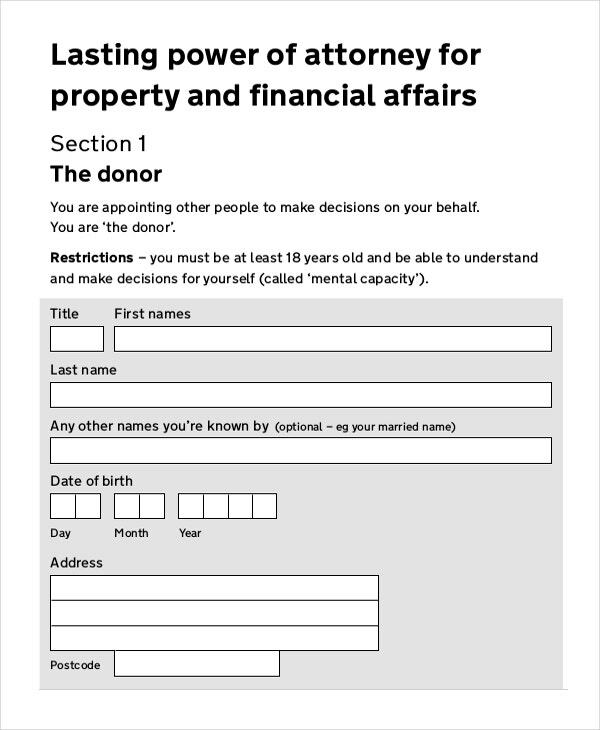 Many English speaking nations allow people with capacity to grant a power of attorney and creating a power of attorney template has now became such a simple task with hundreds of free templates floating around the web. Open a blank document and dump a sample letter. Make the changes as per your requirement. Power of attorney grants wholesome proprietorship to a person regarding financial and legal matters. The person who withdrew his power of attorney is called as donor, grantor, or principal. The person who takes the authority is called as attorney-in-fact or agent. However, at times, the agent cannot act on his own will and wish. He/she has to act upon the grantor’s wish. You can also see TimeSheet Template. 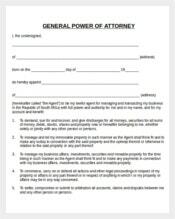 > How much is Power of Attorney? Power of attorney doesn’t cost you anything. Yes, it is absolutely free unless you need a solicitor’s help. However, in many parts of United Kingdom, including Scotland, Wales, and England, you have to get it registered much before you use it. But in Northern Ireland, you can use it without registering. You may also see Paralegal Job Description Template. 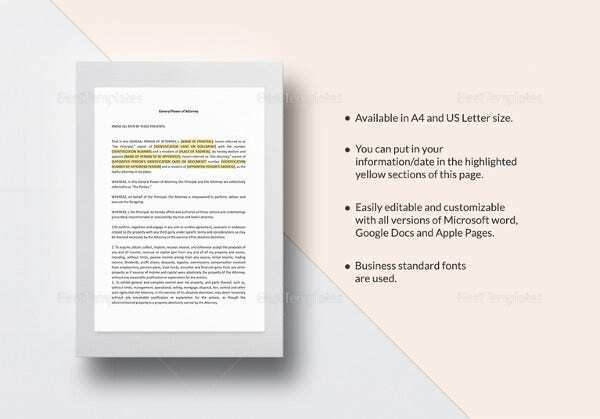 neat cover page, disclaimer, watermarks etc; Make sure that your document consists of the same or not. 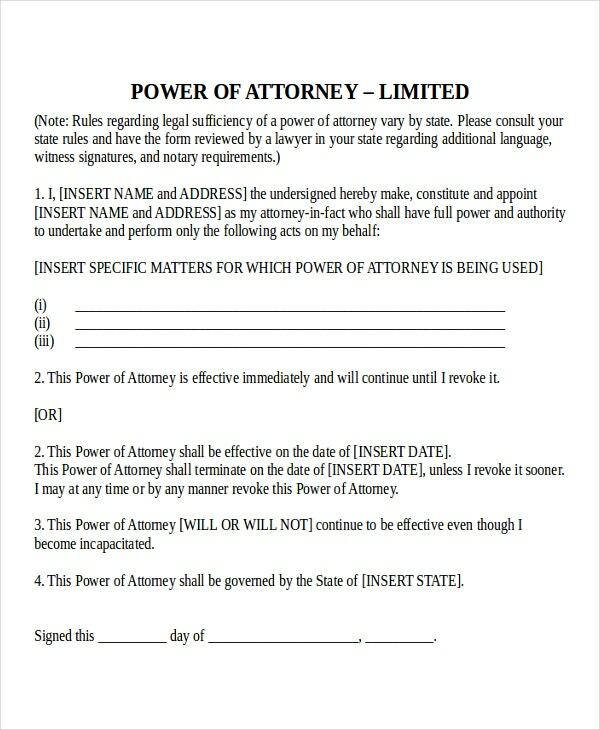 Make sure that your power of attorney template covers all the sections you want to claim before law. Remember that signing requirements vary from one state to another state. Check with your legal advisor before finalizing the document. Above all, do some background verification about the agent’s family background and conduct even though you knew him/her since long. This help the discrepancies and/or conspiracies to pop-up, if any. Power of attorney is important, especially if you run businesses worth millions and billions. Because nobody knows when you will be abed and become incapacitated to supervise all your business matters. Hence power of attorney is essential not only for the elderly, but also for youngsters. It prevents the impending doom falling on your company in your absence.